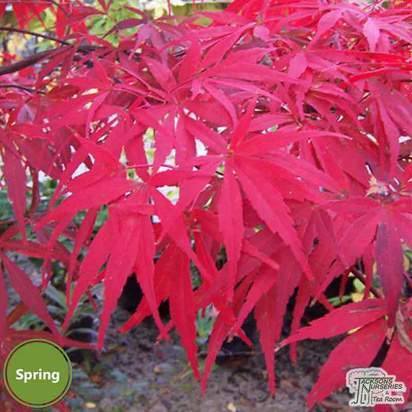 Japanese Maples are slow-growing, small deciduous trees known for their graceful habit, autumn colour and beautiful, pointed leaf shapes. 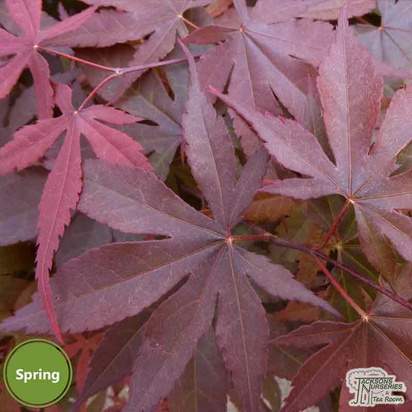 Many varieties have the species name palmatum after the hand-like shape of the leaves, whilst dissected varieties have fine, deeply-cut foliage that has an almost feathery appearance. 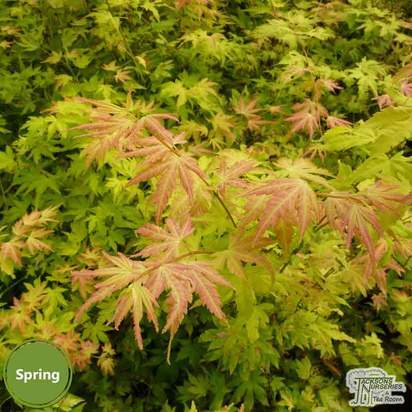 Native to Japan and China, they have a beautiful dome-like habit when mature and work well in containers, smaller gardens or when used as an under-storey to larger shrubs and trees. 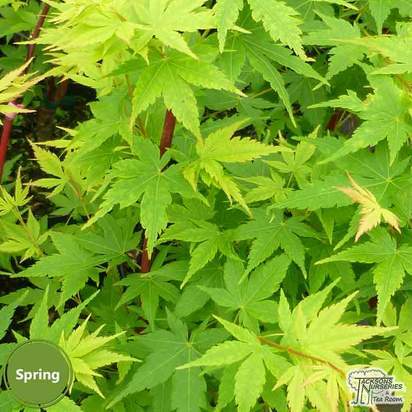 Japanese Maples' compact and non-invasive root systems also make them particularly suitable for growing along ornamental paths or in front of the home. 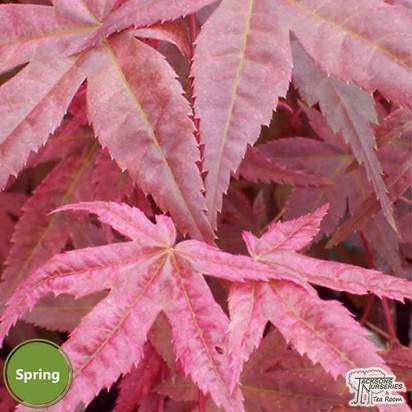 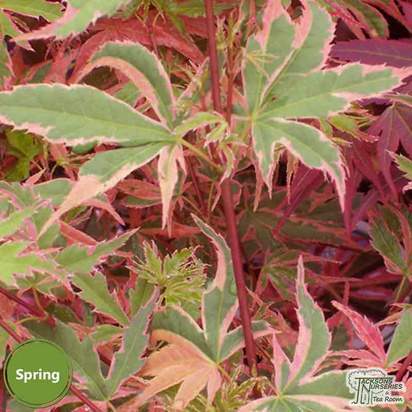 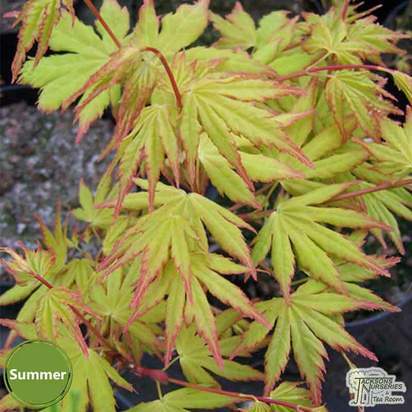 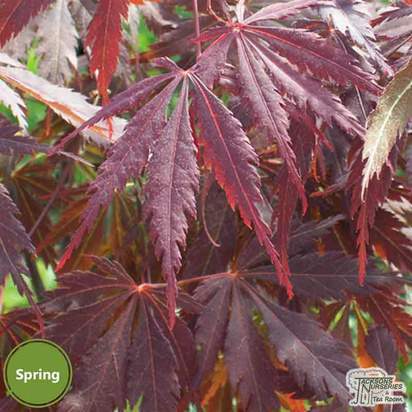 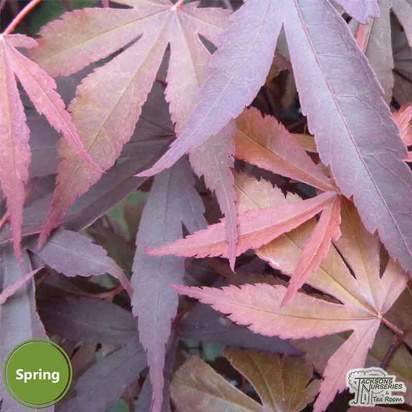 Choose Acer dissectum Garnet for feathery red-purple foliage that turns fiery red in autumn or Acer Katsura for an array of fabulous foliage colours across the seasons. 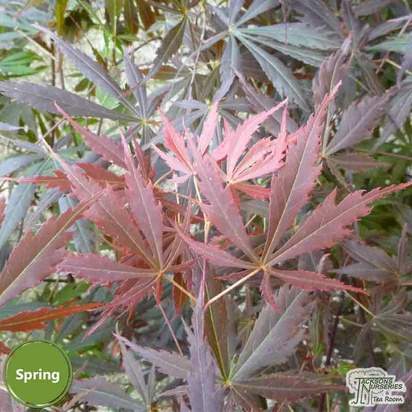 Acer Bloodgood and Acer Sango Kaku have both been credited with the RHS Award of Garden Merit. 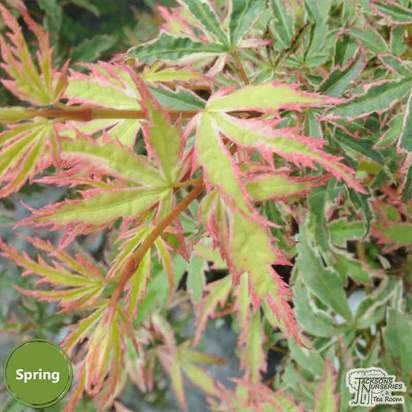 Japanese Acers thrive in sheltered, spacious positions in light, slightly acidic soils with a good amount of organic matter. 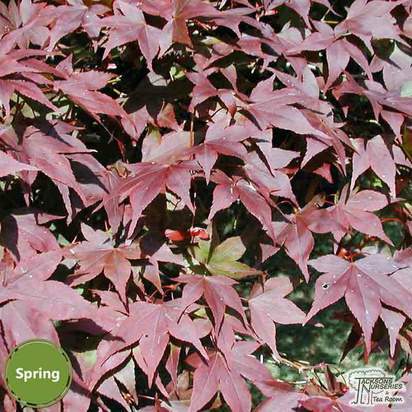 Allow red and purple leaved varieties to get some sun to fully develop their dark hues and be sure to protect the roots from winter frost.